Take an eclectic tour of some of the word’s finest culinary delights at the 2012 Taste of WGBH Food & Wine Festival September 13-15 at One Guest Street in Brighton. WGBH is hosting a three-day food and wine festival featuring celebrity chef demonstrations, a wine auction, educational seminars, WGBH and PBS personalities including Jared Bowen, Margarita Martinez and Ming Tsai, an outdoor farmers market and The Artisan Taste. The festival will feature more than 100 wineries, local chefs, restaurants, and local artisanal foods, produce, and purveyors. 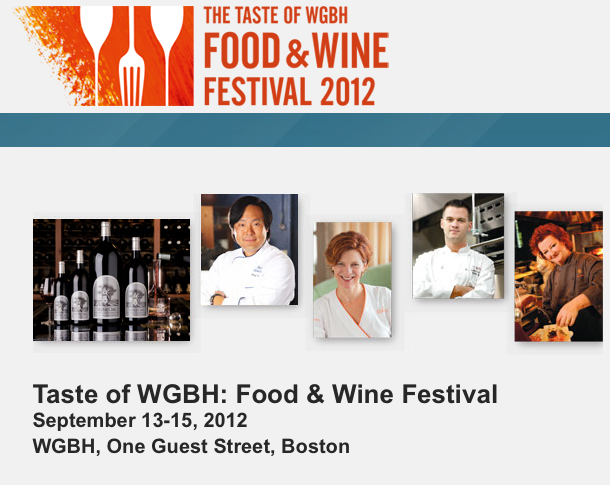 0 Response to "The Taste of WGBH 2012 - Starts 9/13"